The materialization of Indo-US nuclear deal posed stern questions for the non proliferation regime and nuclear trade worldwide. 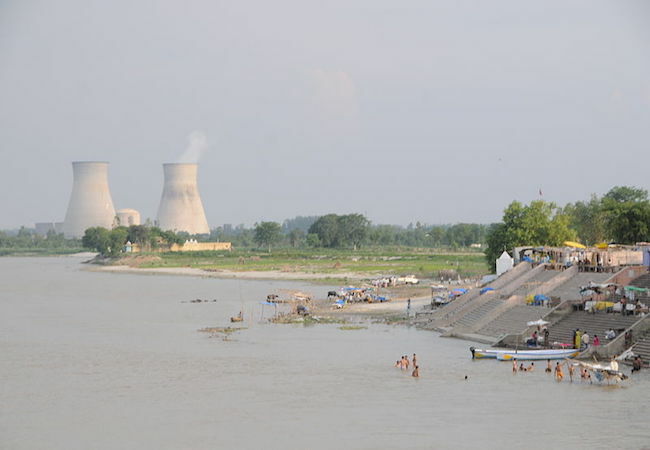 It managed the NSG waiver without accepting NPT, in addition the deal also excluded 8 Indian nuclear reactors from IAEA safeguards that are well suited for 1,250 kilograms plutonium upgrading for weapon purposes “which has the ability to produce 240 nuclear weapons a year.” Consequently, amplifies regional instability and vertical proliferation of nuclear weapons. The US can not in any terms call the step an advantage to global non proliferation regime. Paradoxically speaking the creators of non proliferation regime and its cartels have created rooms for nuclear mishandling within the group itself. Countries namely United States, United Kingdom, Canada, France, Japan, West Germany and Soviet Union got together to form the Nuclear Supplier’s Group (NSG), in response to Indian diversion from Canadian based rector (diverted plutonium from the Canadian-Indian Reactor) that was given for peaceful use. Pragmatically recounting NSG’s objective or purpose was to regulate nuclear commerce so further diversions as that of India could not take place again since India used it for military purposes that resulted in Indian Peaceful Nuclear Explosion (PNE) in 1974. Evidently New Delhi is being pushed forward for the legal certification of NSG membership by the recognized NSG member states — France, Russia, the UK, and the US are now at the head to make India a member of the NSG, facing resistance from China and few other states. In this regard, Britain said India should be allowed to join global body that controls atomic exports, even though it has refused to join pact. Britain has stepped up many efforts to let India join an influential global body controlling nuclear exports, resultantly this move would boost one of the de-jure country’s standing as an atomic power in the international arena. The keepers of international nuclear non-proliferation regime are persisting to embrace a non-NPT nuclear weapon state for nuclear commerce acting discriminatory towards the other South Asian non-NPT but a nuclear weapon state (Pakistan) — obtaining same status. Even though if Pakistan is a nuclear weapon state, it faces acute energy shortage and lacks nuclear power infrastructure to produce satisfactory electricity. Convincingly, “its nuclear infrastructure needs substantial foreign assistance to increase the nuclear power generation.” If ‘diversion fear’ is the justification for not granting Pakistan the same technology, though for instance even if one accepts it, how Indian intention, plan or motive makeup can be rationalized? With an already history of civil to military diversion, how could India be trusted again? However India does not fall on the standard criterion for the NSG membership since it has poor proliferation record with no interest in international non proliferation treaties (rejected NPT calling it discriminatory). It depicts a barefaced violation of nuclear non-proliferation norms and laws by international community in general and the NSG in particular. It would not be wrong to analyze from the above that the move would lead other NPT-NWS to withdraw from NPT keeping itself legally authorized for civil technology as well as also creating space for their military diversions.